"Jagat Niwas Palace is one of most sought after heritage hotels in India, popular for offering excellent hospitality services to its guests. 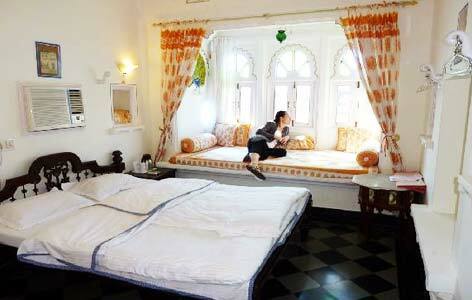 A typical Mewar architecture, the guests here can enjoy modern facilities in a traditional setting. Avail every modern comfort during your stay and treat your eyes to the surrounding natural beauty. Erected in the 17th century, Jagat Niwas Palace is now has been converted into a heritage hotel and is popular has one of the finest heritage hotels in India. Originally named as Titoda and later Banderwara Haveli, the palace was commissioned during the same period when the Badi Mahal in the City Palace was made. In the year 1987, Kr. Devraj Singh after seeing the poor condition of the Haveli, decided to renovate it and convert it into a hotel stuffed with modern amenities. 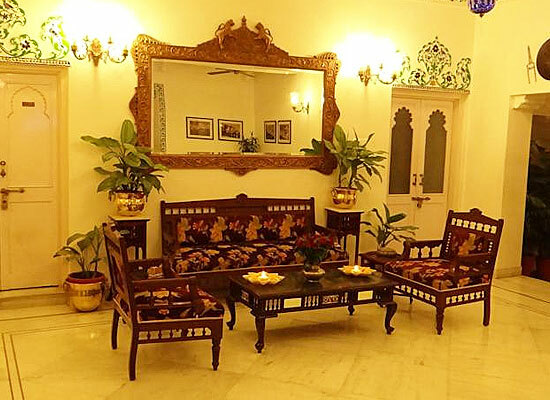 The Jagat Niwas Palace hotel has 29 well-maintained rooms with antique furnished and elegant décor and located around the central courtyard. 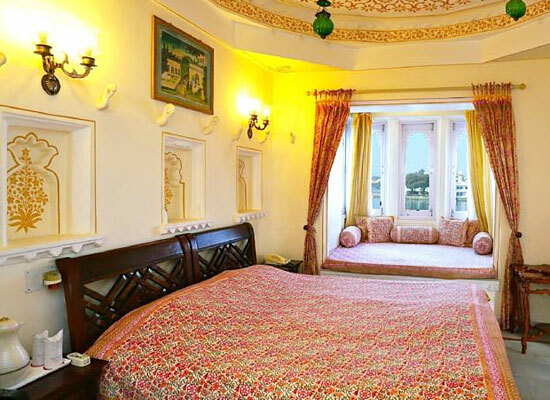 The rooms at the property are categorized into 5 types- standard, Haveli, heritage, raj and Pichola suites, all well-laden with modern amenities. Enjoy an amazing outside view from Jharokhas. Every room of the hotel has private baths with branded toiletries and running hot & cold water, king-size bed, antique furniture, TV, telephone and more. 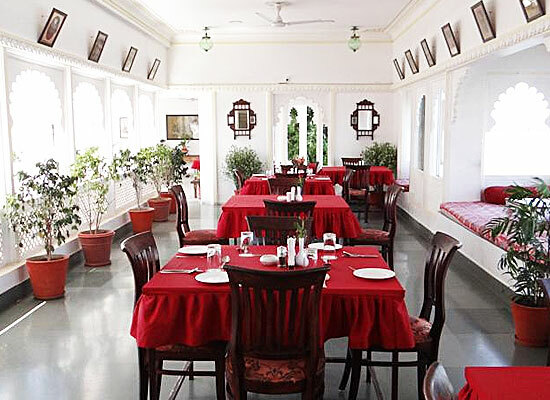 Jagat Niwas Palace has an on-site restaurant, called Lake Side restaurant that serves sumptuous dishes of Indian, Continental as well as Chinese cuisine. While enjoying your meals, specially prepared by the expert chefs, enjoy a mesmerizing view from the jharokhas. Have a memorable fine dining experience. 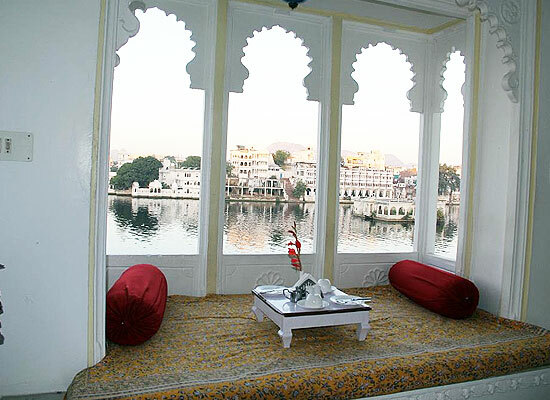 Udaipur, also famed as the ‘City of Lakes’, is one of the most famous cities of the royal state of Rajasthan. Well-adorned with manicured gardens and lakes, this city is surrounded by the Aravali ranges one side and lakes on 3 other sides. The former capital of the princely Mewar state, it is also famous as the ‘Venice of the East and the ‘Most Romantic City of India.